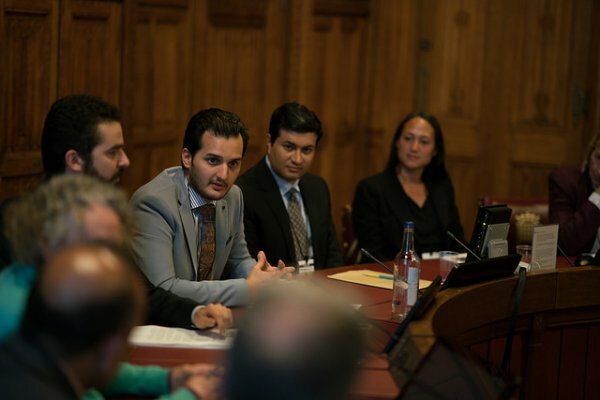 On 19 July 2017, the Unrepresented Nations and Peoples Organization (UNPO), together with the World Baloch Organization (WBO), organised the conference “Wall of Silence: Human rights in Balochistan”, at the House of Lords in London. 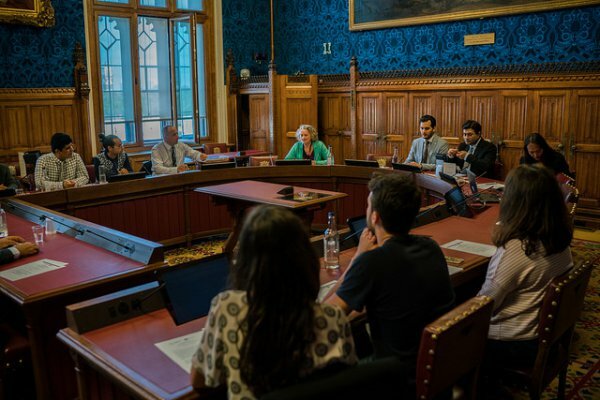 Hosted by Baroness Jenny Jones of Moulsecoomb (Green Party for England and Wales), the event discussed Pakistan’s suppression of human rights in Balochistan, focusing on the China-Pakistan Economic Corridor (CPEC) and on the shutdown on journalists and international organistions. Distinguished experts from various backgrounds presented their experiences and ways forward, in a fruitful exchange of ideas at the British Parliament. Baroness Jenny Jones de Moulsecoomb opened the event with an overview of the situation in Balochistan, from extrajudicial killings to economic exploitation and the persecution of those who oppose the implementation of CPEC. The Baroness talked about the importance of raising awareness about these issues and of gathering international support to bring peace to the Baloch people. Mr Noordin Mengal, human rights campaigner (WBO) and moderator of the panel, gave the floor to the first speaker, Mr Burzine Waghmar, Senior Teaching Fellow and PhD candidate at the University of London’s School of Oriental and African Studies (SOAS). Mr Waghmar focused on the impact of CPEC in Balochistan, presenting a historical overview that showed how China’s regional ambitions have affected disadvantaged groups in Pakistan for decades and how the Pakistani government has collaborated with these ambitions even before the Indo-Pakistani deal in 1947. According to him, CPEC represents the colonization of Pakistan for the enrichment of China, and highlighted with concern the fact that China is unlikely to take into the consideration the contexts of the various ethnic groups in the country while pursuing the implementation of the Economic Corridor. Furthermore, Mr Waghmar noted that Pakistan’s statehood is based on a fragile framework with no national basis, in which Pakistani military acts with no legitimacy and with violence against local populations. Before giving the floor to the second speaker, Mr Mengal reminded the audience that CPEC is not the first project of exploitation of natural resources by outsiders in Balochistan: natural gas and copper are key resources that have been exploited by Punjabis and Chinese, while the government denies the local population their rights to partaking in the richness that results from the use of the resources of their own land. Ms Angela Stanzel, of the European Council on Foreign Relations, highlighted the centrality of Balochistan in Pakistan-China relations, considering the amount of investments dedicated to the region by the Chinese, mainly for the Port of Gwadar. According to Ms Stanzell, CPEC has been fueling conflict in Pakistan and particularly in Balochistan, as it became a target for political opposition and extremist groups. She noted that the feeling of Baloch people of being neglected and left behind was not born with CPEC, having been consolidated throughout history while Balochistan was subjected to exploitation and while its inhabitants were denied their rights. Ms Stanzell also drew attention to the fact that CPEC seems to be a model for the projects that China intends to implement worldwide, which must be regarded with concern considering that no investment is directed to local communities, increasing tensions in regions that are already unstable and raising censorship and violence against those who dare to oppose the project. Ms Carlotta Gall, who spent ten years in Pakistan and Afghanistan as a foreign correspondent for the New York Times, talked about her experiences under the intimidation and the violence to which both foreign correspondents and local journalists are subjected by Pakistani intelligence officers and military in Balochistan. According to Ms Gall, journalists are followed by Pakistani intelligence officers from the moment they touch ground in the region and are intimidated not only with physical violence, but also with threats to the safety of their loved ones. Local journalists are instructed not to work with foreigners, which make reporting on the region even harder. She affirmed that her experience proved to her that Pakistan is not interested in allowing the Baloch people to have a voice – their focus is solely allowing military plans and economic projects such as Gwadar to move forward. Approaching the fact that journalists, students, political activists are often arrested, tortured and murdered, she concluded that people are given little choice to be active in helping their communities, which fuels the rising of groups that resource to violence in order to fight for survival and dignity. Mr Peter Tatchell, from the Peter Tatchell Foundation, focused on the possibilities for Baloch people to succeed in their struggle for peace and respect for their rights. Mr Tatchell reminded the audience that Pakistan is widely dependent on Western support, which means that raising international pressure in the context of IOs and CSOs is likely to have a strong impact in reducing the military pressure on the Baloch people. 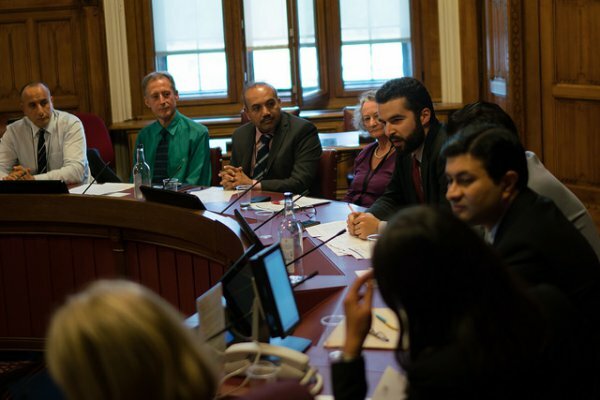 He highlighted the importance of a well-delineated plan that gathers different Baloch organizations and groups, based on principles of social justice, human rights and democracy. According to Mr Tatchell, by uniting around some central demands – such as the release of political prisoners, a UN-sponsored ceasefire and a referendum on independence, and free access to the region for human rights organizations and journalists – Baloch people will be able to mobilize a comprehensive international solidarity movement to support their struggle. Mr Fernando Burgés, UNPO Programme Manager, noted that the situation of ethnic and religious minorities in Pakistan stand out as particularly dire and noted that events such as “The Wall of Silence” are of paramount importance to give a platform for these peoples’ voices to be heard, while they are silenced in their own countries. The conference came to an end with Mr Mengal urging states such as the United States and the United Kingdom to revise their policies regarding Pakistan, taking in consideration the situation of disadvantaged communities that have been suffering with human rights violations for decades. Watch the World Baloch Organisation’s live stream of the conference here.